A male fugitive convicted of manslaughter by gross negligence was sentenced to six years in jail on Friday for killing his date after crashing his speedboat on the River Thames. 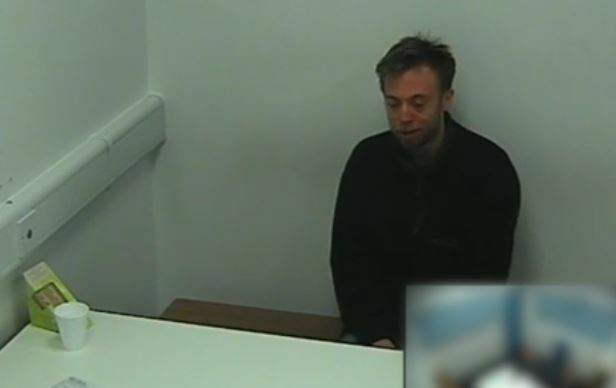 Jack Shepherd avoided his trial on Friday to escape his six-year jail sentence. His lawyer, Stephen Vullo, said that Shepherd was unable to face the victim’s family. The 30-year-old met Charlotte Brown, 24, on OkCupid in 2015 and they had their first date at a restaurant before taking a ride on Shepherd’s Fletcher Arrowflyte speedboat. Witnesses have said that Shepherd has used his boat to impress many women before Brown, he got caught speeding numerous times on his previous dates. It was dark, they were drunk, and neither of them were wearing a life jacket. Shepherd was speeding while Brown was a passenger. This was indicated in the video Brown recorded while on the speedboat, “Oh my God, going so fast,” said Brown. Shortly after the video ended, he let Brown take over as the driver. She drove into a submerged log and knocked the boat over, and they fell into the water. A local, Steven Morrisey was there when he heard someone screaming for help. “He kept saying ‘Help me, help me, somebody help me’. It was just ‘Help me’ – not ‘us’, or ‘her’,” said Morrisey. Both Shepherd and Brown were recovered from the water by the Marine Units and taken to St. Georges Hospital—Brown was pronounced dead at 1:55 a.m. on Dec. 9, 2015. The possible causes of Brown’s death include asphyxiation, consuming large amounts of water, hypothermia, and vagal shock. Shepherd recovered from hypothermia and was described by emergency officials that he smelled strongly of alcohol and had erratic behaviour. Shepherd was drunk and still decided to take Brown out on a speedboat in the river late at night in the winter. He waited for the tide to allow for higher speeds. He made no effort to make Brown aware of the life jackets on the boat. Shepherd made no attempts at finding out her experience with boats and her swimming ability. On other occasions the police had stopped Shepherd for speeding and the condition of his boat. Therefore, he was aware of the poor conditions of his boat. Despite knowing the poor conditions of his boat and that they had consumed alcohol, he allowed Brown to take control of the boat at high speeds. “We are currently conducting numerous inquiries to find Shepherd and speaking to his friends and family. We are keeping an open mind on whether he has left the country. If anyone knows where Shepherd is, or has any information on his whereabouts, I would ask them to contact police immediately on 020 8721 4005 or Crimestoppers anonymously on 0800 555 111,” said Davies.